If you’ve never shopped at Trader Joe’s you should really go check them out. 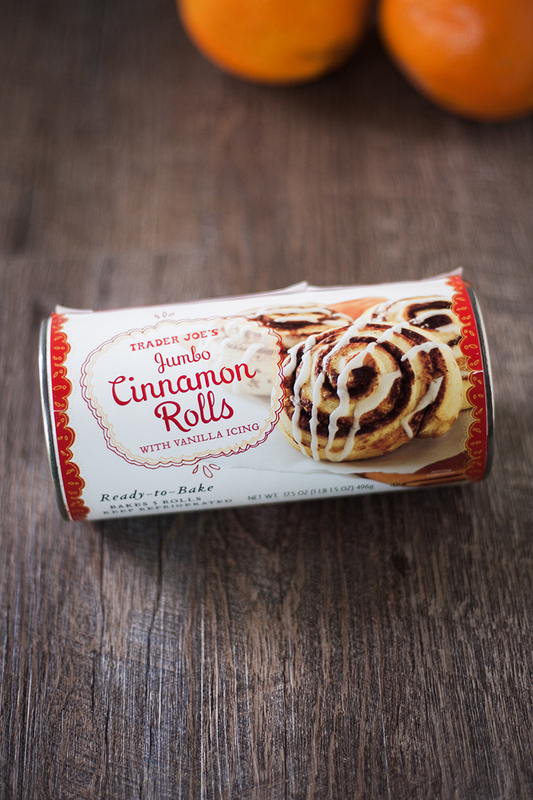 They have tons of vegan-friendly items, including ready to bake cinnamon rolls. 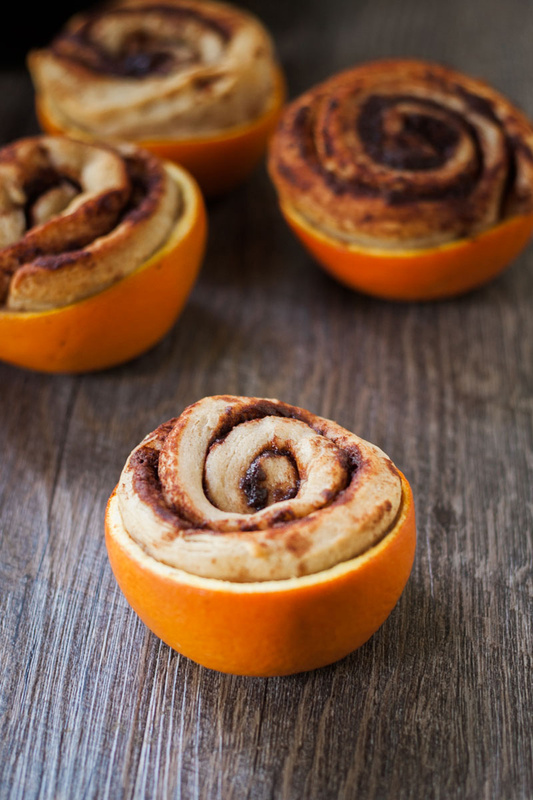 They are perfect for this campfire cooking hack of baking inside of orange peels. 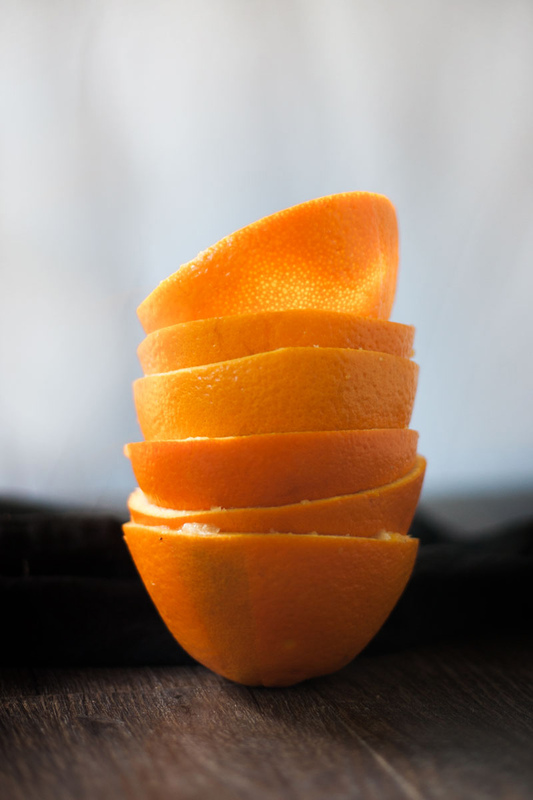 Simply cut three large oranges in half. Then gently insert a spoon between the fruit and the peel and slide it around the outside of the fruit until it breaks free. The cinnamon rolls come pre-cut into five portions. Place each one in its own peel and press it to until it reaches the bottom. 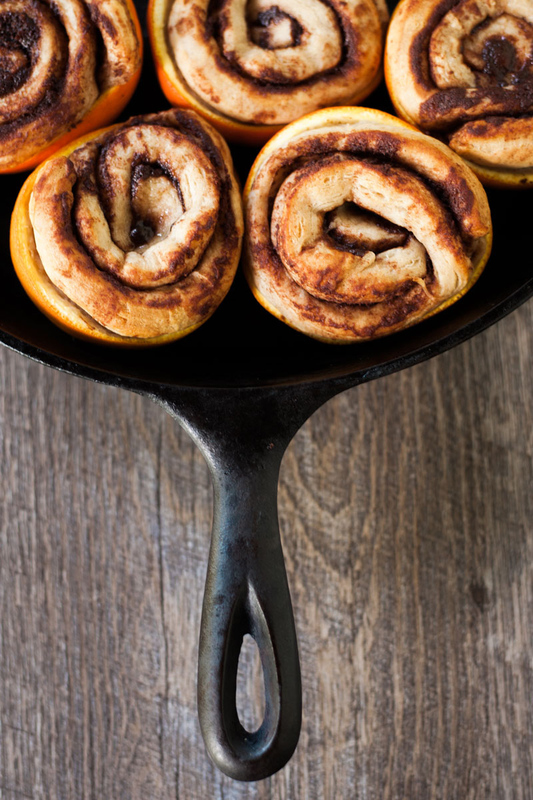 Place the orange peels in a cast-iron pan and cover with a lid or foil. 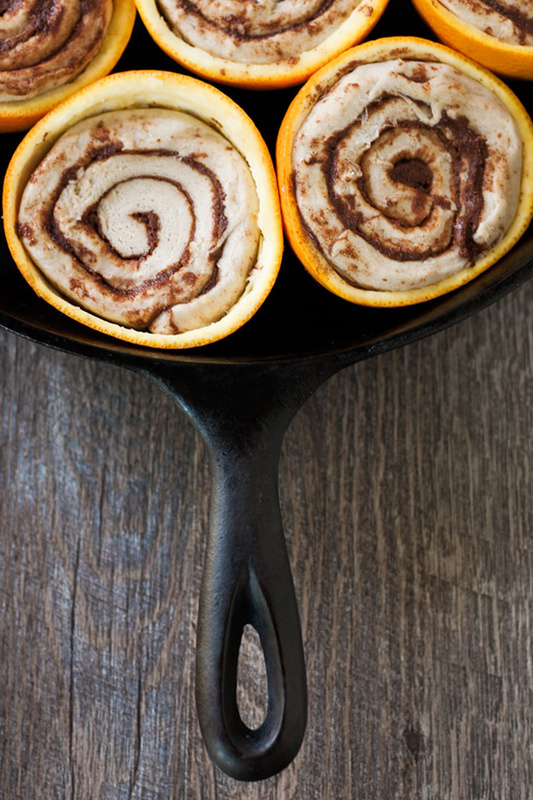 Be sure to leave room over the cinnamon rolls since they’ll rise while cooking. Put the pan directly on the hot coals. Allow the cinnamon rolls to cool for a few mins and then drizzle icing over them. If you want more vegan camping recipes check out Campfire TVP Sloppy Joe Onion Bombs and 20 Vegan S’mores. 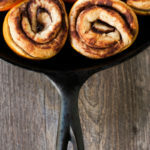 These vegan cinnamon rolls, baked inside an orange peel, are an easy breakfast to cook on a campfire. 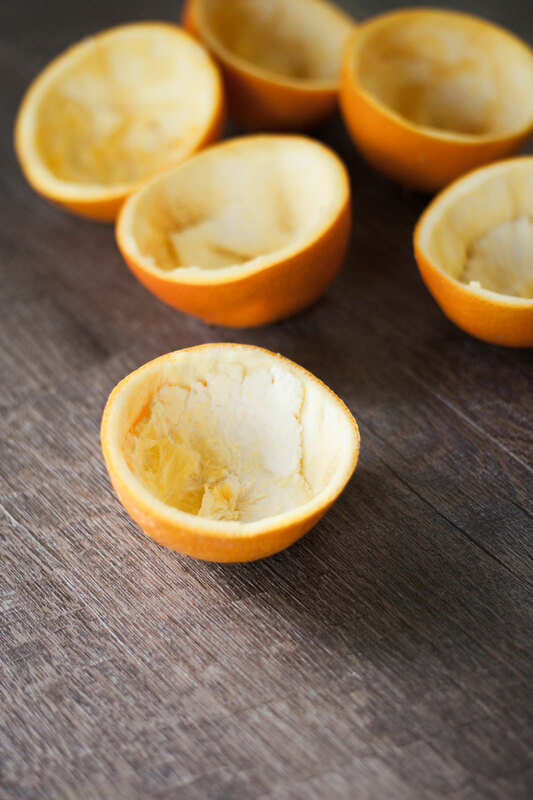 Cut the oranges in half and remove the fruit while keeping the peels intact. 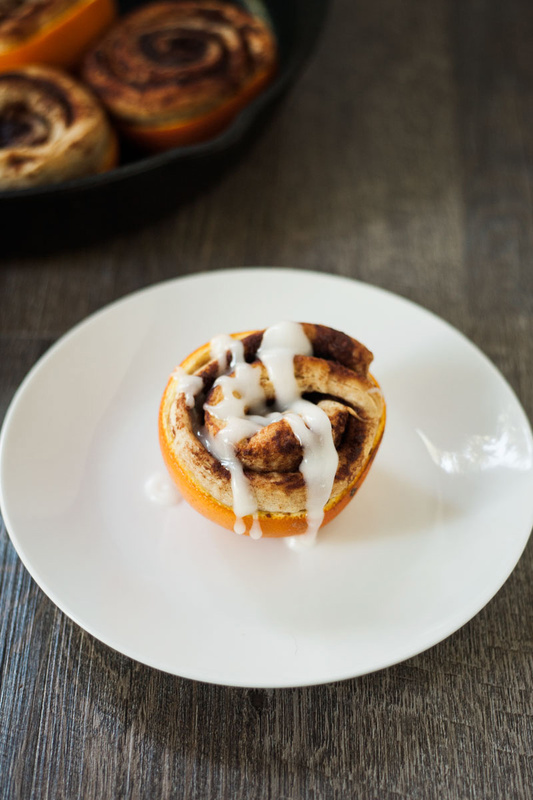 Put the cinnamon roll dough inside of the peels. Place in a pan and cover with lid or foil. Put the pan on the campfire coals. Bake until the cinnamon rolls look done. Allow to cool and then drizzle with icing. This is such a great idea, looks so yummy.